Read the interview at Christianity Today. Read the rest at TheHighCalling.org. Image by Jenny Huey. Sourced via Wikimedia Commons. Michael Hyatt is a New York Times best-selling author and leadership expert. He is also board chairman of Thomas Nelson Publishers, the largest Christian publishing company in the world. Hyatt left his position as CEO of Thomas Nelson earlier this year to focus on writing and speaking, and the company is now in negotiations to be purchased by HarperCollins, a subsidiary of media giant News Corp. Hyatt told The High Calling his only involvement with the current sale is in the capacity of board oversight, but a few years ago, he guided Thomas Nelson through the transition from being a publicly traded company to one that is privately held. We spoke to Hyatt about the future of publishing in the digital age and about what it takes to be a good leader. The interview has been edited for length and clarity. Read the interview at The High Calling. It was a short work week because of the Fourth of July holiday, so even though I wrote three posts for Urban Faith, only one was published this week, and perhaps that’s appropriate given that it’s a bit of an apologetic for my role as News & Religion editor at the site. The post was inspired by an article about the relaunch of AOL Huffington Post’s Black Voices and included a quote from Ed Gilbreath explaining his vision for Urban Faith. Here are bits and piece of the post, but I encourage you to read the whole thing. “Urban Ministries, Inc. is an African American-owned company. Our core audience is black, and UrbanFaith.com will naturally be rooted in that perspective. At the same time, recognizing the beauty of diversity in God’s kingdom, UrbanFaith.com will strive to also be ethnically inclusive and multicultural in flavor. Read the whole post here. And, look for those other two articles and more next week. 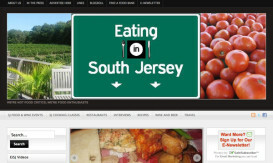 John and Lisa Howard-Fusco’s food blog helps locals and visitors find the best of the South Jersey food scene. Eating in South Jersey isn’t what Forked River residents John and Lisa Howard-Fusco expected. The blog they launched in 2008 grew out of their surprise at finding great food in South Jersey when they moved from North Jersey to be closer to their families. The couple never expected their hobby to catch the attention of The New York Times and New Jersey Monthly, but Eating in South Jersey has. More importantly, the blog has become popular with local readers, many of whom look to the site to find out what’s going on in the South Jersey food scene. “People read us. Let me tell you, we were pretty surprised,” said Lisa. To learn about South Jersey’s hidden foodie gems, read the rest at Lacey Patch. Is feminism funny or humorless? That was the question asked and evaluated at a Slate event I attended in New York City called Double X Presents: The Smoking Bra: Women and Comedy. I thought the question was worth exploring because, like so many contentious topics, feminism doesn’t often inspire laughter. Problem is, I was looking in the wrong place for an answer. For a thoroughly sanitized description of what I saw, read the rest here. For un-sanitized clips from the event itself, go here and here. If you do check out the clip from Morgan Murphy‘s routine, perhaps you’ll get a sense of an inherent modesty that comes through her profanity laden performance. Even when she’s joking about “sexting” with a guy, she communicates a certain level of discomfort with the endeavor. Please come back and tell me what you think! As to the photo above, I lifted it from Google images. It is an advertisement for a product made by Swiss underwear manufacturer Triumph International. I’m sure they won’t mind the free plug. Then again, given the product, I could be wrong. My first column is up at Urban Faith. It was inspired by the International Arts Movement’s Encounter 10 gathering. 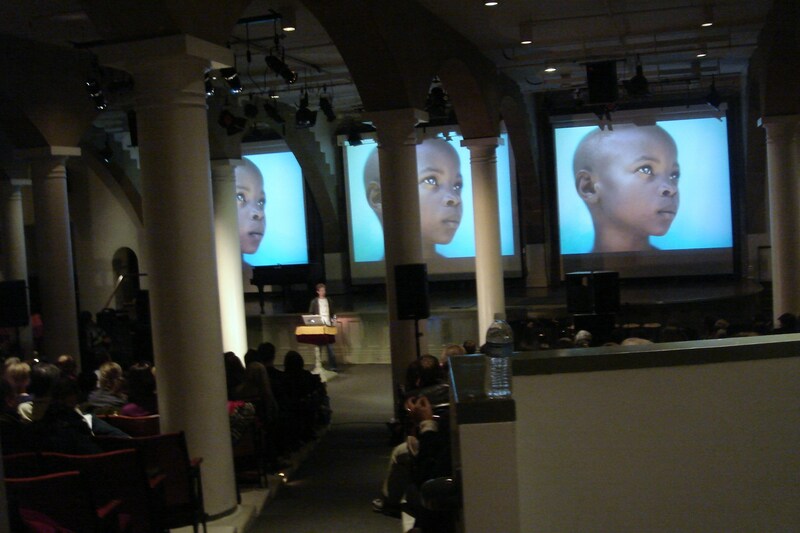 That’s one of the speakers, David Sacks, talking about his gorgeous photography work in the photo above. I interviewed philanthropist Roberta Ahmanson at the Four Seasons Hotel after she spoke at Encounter 10. Her talk reminded me of a book club selection from the High Calling Blogs network so I incorporated a bit of that into my column. The interview with Roberta was so fascinating that I pitched my editors at Christianity Today on using it as the foundation for a profile of her instead of just running the interview. They agreed and are sending me to Southern California next month to build on it. 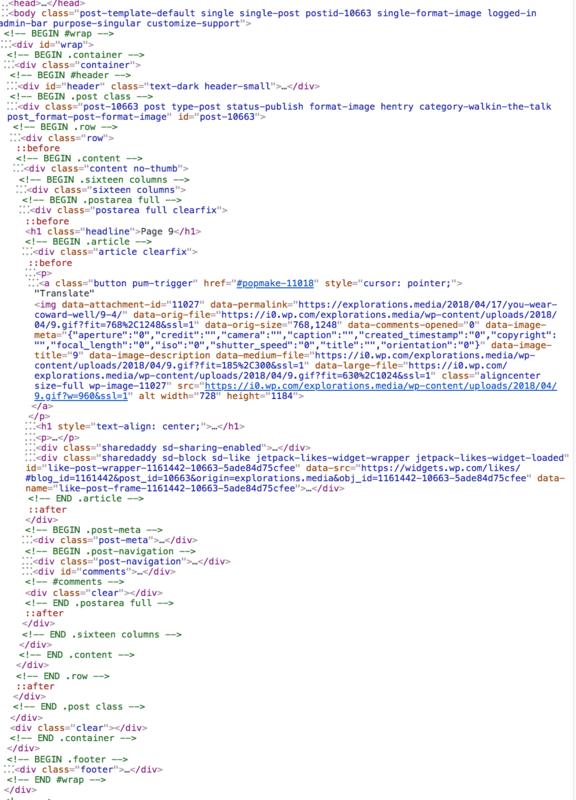 This is how my work often comes together. Here’s a clip from “The Art of Urban Ministry,” which combines Roberta’s thoughts with my own and Bill Strickland’s and the Apostle John’s. Home was different. There Strickland’s mother enlisted her children’s help in keeping their simple abode neat and clean. In high school, a teacher named Frank Ross introduced Strickland to the art of making pottery. It changed his life. With the support of patrons, Strickland founded the Manchester Craftsman’s Guild when he was just 19 years old. You can read the rest here. And check out this video clip of Ben and Vespers from the IAM Encounter 10 closing ceremony. It’s funakalicious! Today is the first Sunday of Advent and I’m missing my Anglican church (St. James in Newport Beach, CA). Had I been there this morning, I might have played a role in lighting the Candle of Hope. I’ve been worshiping with the Baptists since I returned home. It’s an incredibly loving congregation right now, which is how it began 30+ years ago. Then there was a church split and then another and another. Anyway, these Baptists love my family and our roots with them are as deep as human roots go. And yet. And yet, I deeply miss the Anglican liturgy. The liturgy shines in the shadowy place called mystery. But to leave matters here, at the threshold of incomprehensibility, would also be leaving out something. For mystery is both more complicated and understandable than we imagine. The liturgy contains a similar “handshake” at its climax, an outward action that conveys a deeper drama. To some this moment looks like routine ritual, like that handshake might have looked to those who had not heard what had happened a few days earlier. But those with eyes of faith see a mystery opening before them in the liturgy. The liturgical handshake—that is, the sharing of bread and wine at the climax of the service—not only recalls something that happened, but re-presents it in a way that makes it a present reality. Beyond Smells & Bells is a short book that breezes along combining Galli’s meditations and metaphors with pieces of the liturgy itself and with the work of theologians. It is not a book for experts, but instead is one for people like me who have returned to the liturgy of their youth and can’t quite explain why. Or, perhaps, for those seeking to understand a family member’s decision to do the same. It could also benefit the spiritually dry, confused or curious. The Anglican liturgy healed me after years of broken church life, even though my Anglican church and the larger Anglican body was itself broken. For this reason, I especially appreciate and miss the corporate confession of sin that precedes the Eucharist. Even when one has always done their best to act rightly, there is guilt in living through so much failure and more guilt from failure’s inevitable consequences. Theologian Reinhold Niebuhr said, “You make a moral choice, you act, and then you ask for forgiveness.” That’s a wise statement. You make the choice, because you can’t sit around hemming and hawing forever. You ask forgiveness, because, to quote Paul, “We look through a glass darkly.” What appears moral and good in our eyes may not appear good and moral in the eyes of others, even our friends. No act is absolutely moral or good, because we don’t live in a utopia where we have those absolutes. Hedges found healing from his battlefield memories in being a dad. I found it in the liturgy. Affirming the Creed, praying with the Saints and the saints, confessing both sins and ambiguities, passing the peace and being cleansed by the blood of the lamb each week was a powerful, worshipful remedy for me. We have to pay attention to cultural context, no question. The history of the liturgy has been in part about finding words and ritual that help people in a given culture to express their thoughts and feelings to God in ways that makes sense. The liturgy has always had freedom and variety within its basic structure. But it has steadfastly refused to let the culture determine its shape or meaning. Liturgical churches know that as profound a reality as is the surrounding culture, there is an even more profound reality waiting to be discovered. Like Mrs. Haller [an elementary school teacher] did for me, the liturgy gently and calmly gets us to open our eyes to the new reality, showing us the value of the “necessary separation” from the old. Suddenly, in the blink of an eye, we find our gaze directed away from ourselves and toward God and his kingdom. When we return to our homes, we are never the same. When there is little difference between going to church and going to the mall or the movies, God’s holiness and majesty can be diminished in our minds. Familiarity can lull us into complacency. Galli writes that this can happen too with the liturgy, if we’re not careful. To be sure, we can worship God anywhere, and the church is not the building but the people. Yet this does not take into account how God normally works in our lives—that is, by revealing himself to us in places, places that become sacred and holy. This is precisely why parishioners become feisty when someone wants to remodel the sanctuary in the least little way. … And why they will fight to the death (or, more precisely, to the debt) to keep their property out of the hands of their wayward denomination. This behavior, which is sometimes described as “worldly,” is ultimately grounded in a biblical understanding of the world—that this planet contains spaces where God meets people. Liturgical churches understand this reality. Thus their healthy addiction to magnificent worship spaces, whose very architecture evokes the reality of God’s presence. This very reality is why we eschewed funeral parlors when planning services for our son. They are devoid of meaning, divorced as they are from ordinary life. Our last Christmas worshiping together as a family was at St. James Church. The first service took place there. Trinity Bible Church holds more memories and meaning for our family than most other places on this earth. A service was held there as well. The fact that people have fought over and in these spaces speaks less to me about our corporate failures than it does about the love that transcends failure. Which brings me to my final point about the liturgy. I’ve met God in churches both “high” and “low.” I’ve met him in nature and elsewhere. The services in “low” churches that I’ve attended generally build up to the preaching of the Word. A man stands at the center of the hour. I’ve benefited from this style … and witnessed the attendant destruction when the man falters or begins “inhaling his own fragrance,” as a friend so aptly put it. 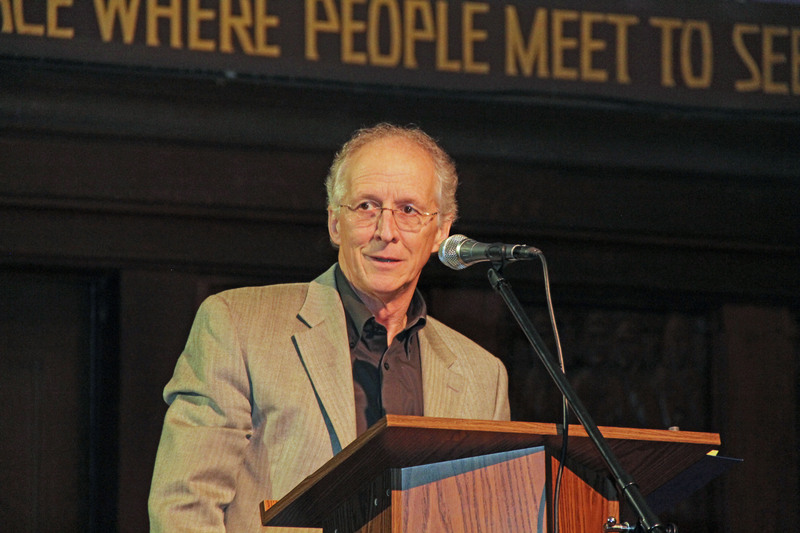 Preaching is an integral part of the “high” church liturgy. It is not the climax. When the man fails, the liturgy goes on. There’s humility to this style. So much of preaching is designed to perfect us. It will never be, in this life. Traditional liturgy engages our frail humanity. That’s probably what I love about it most. It is not a spectator sport; it’s a contact sport for sinners. Galli examines all these issues and more. I commend his book to you as a primer. In the acknowledgements, he thanks those contributors to his blog who helped shape his thought. He’s a sporadic blogger. Just when I think he’s going to begin posting regularly, he goes silent for months on end. Demanding day job, I guess, what with being senior managing editor of Christianity Today and all. Check out this recent post on The Blessings of Everyday Hate. Nobody dared respond. I liked it for the reasons I like this book. It’s provocative, thoughtful and down to earth. Michael Kalichman, director of the Research Ethics Program at UC San Diego, spoke this morning about hESC ethics. His was a probing Q&A format as he tried to get the scientists to think through the pertinent issues. They didn’t say much, but I believe his questions got them thinking. The discussion wasn’t really an “Is hESC research right or wrong?” discussion, but one about reasoning out inconsistencies in logic. It was a fair discussion, except that he said the opposition equates leftover IVF embryos with live children. I’m not sure that’s accurate. Of more concern to me than the fate of a finite number of leftover IVF embryos is who we become as a society if we don’t do the hard work of thoroughly hashing out the ethics. This is where religious voices are vital to the discussion. Unlike Sidney Golub who said he doesn’t like slippery slope arguments, Kalichman gave weight to concerns about where hESC research might lead. I think it is fair to say that proponents invoke their own brand of slippery slopism when they resist all constraints, regulations and/or oversight. I won’t say much more about Kalichman’s lecture here, except that the ethics discussion once again appears to have progressed in both tone and content. Early in the talk, he warned that what happened in Korea could happen here and he advised the budding hESC researchers to abide by whatever rules govern their work. In light of advances with iPSCs (induced pluripotent [adult] stem cells), he thinks it is not unreasonable for ethics committees to require that research proposals include a defense of the use of hESCs over iPSCs. It is too early to conclude that hESCs and iPSCs will be therapeutically interchangable; therefore all types of stem cell research should proceed. As a proponent of hESC research, he advised students to treat human embryos with respect because they are more than ordinary cells. A discussion comparing the ethical constraints on hESC researchers to those on journalists ensued. It was kind of funny, as I realized that journalists may be less popular than hESC researchers. Many hESC researchers are interested in curing disease after all … as are many journalists, only our work is focused on curing (or, at least exposing for treatment) societal ills rather than physical ones. Kalichman mentioned something about journalists not identifying themselves appropriately. This got me thinking more about blogging conferences. I don’t believe it is my responsibility to tell each lecturer at a public or semi-public event that I will be blogging their session from a particular point of view. They should assume that a lecture (especially one sponsored by the National Institutes of Health) delivered to an undefined audience is fair game to be reported on. As a courtesy, a conference host might wish to alert speakers to the presence of media, but I don’t believe it is required of them either. Additionally, in this situation, I introduced myself to the students as a journalist on day one. I have not named any of them, and will not in this or any other venue without their permission. If I request any formal interviews, only then will I discuss with sources the parameters and possible consequences of an interview. This morning, I also attended a lecture on Aneuploidies (chromosomal abnormalities) in hESC culture. The significant development from 3 years ago is that there appear to be two types of aneuploidy: one potentially carcinogenic and one that may be a normal and harmless feature of stem cell culture. Speaking of new developments, I heard on Friday that Hans Keirstead’s technique for culturing highly undifferentiated oligodendrocytes has been replicated. I’ll have to check into it. Day 1 of the National Pastors Convention was delightful, both because the volunteers manning the information both were so kind and helpful throughout the day, and also because my interview with prolific author Phyllis Tickle was so much fun. We talked mostly about her upcoming book, The Great Emergence. I’ll detail our conversation in a separate post. Scot McKnight and Phyllis were together when I arrived for the interview and Scot greeted me so warmly, I felt like we were old friends—which we are in the warp speed of cyber-space. Scot and Phyllis were part of a panel discussion last night along with Andy Crouch and Tony Jones called “Emerging Critical Issues Facing the Church: Religious Pluralism, the Role of Scripture, Homosexuality and Political Involvement.” Only half the topics were covered: the Bible and political involvement; the other two will be addressed this morning. The discussion on the role of Scripture was interesting; the other one less so. I confess I went mostly to hear Andy Crouch interact with the other authors. He was a favorite columnist of mine for CT and I suspected his would be a voice with which I would agree. I really can’t say much about this session because in a funny bit of irony for the emerging crowd, we were asked not to blog about it. I’ll keep my opinion to myself on this one. This morning I’ll be attending the second half of Dan Kimball’s talk on why young people love Jesus, but not the church. I have an interview scheduled with Dan this afternoon … an interview that was confirmed only yesterday. I’m going to give myself away here as a newbie Anglican by saying that other than Kimball, the authors with whom I’ve requested interviews are all prominent Anglicans. Well, that’s all I have time for this morning, except to say that spring is blooming here in SoCal. The bursts of color lining the highway mid-winter are one of the things that sells a person on this place … and then, after living here a while, you realize that more foliage will eventually mean more brush to burn when the winter rains are long gone. I’m sure I could find a metaphor in there, but I’ll pass on it. The blooms are beautiful while they last. The dry brush is too in its own way.